The basic infos of characters and heros consist of three parts: Basics, Skills, and Affinity. To get in Dungeon, you need to click on the Gameplay Panel on the right or click on the relevent NPC. You can not get in Dungeon directly. Attempts for Arena and Dungeon can be bought with diamonds. Buying attempts everyday is beneficial to improve ATK rapidly. 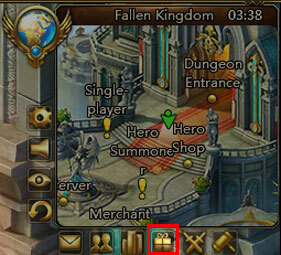 For AFK mode in Palace Dungeon, the player is able to create a random team, which affords bonus besides the rewards.